Allow our team of Stinky Locker Staff to help your team look better! We designed a fun and creative way to customize bag tags for players. All too often bags are thrown in a dressing room or holding area for a tournament or event and bags often get lost or misplaced. 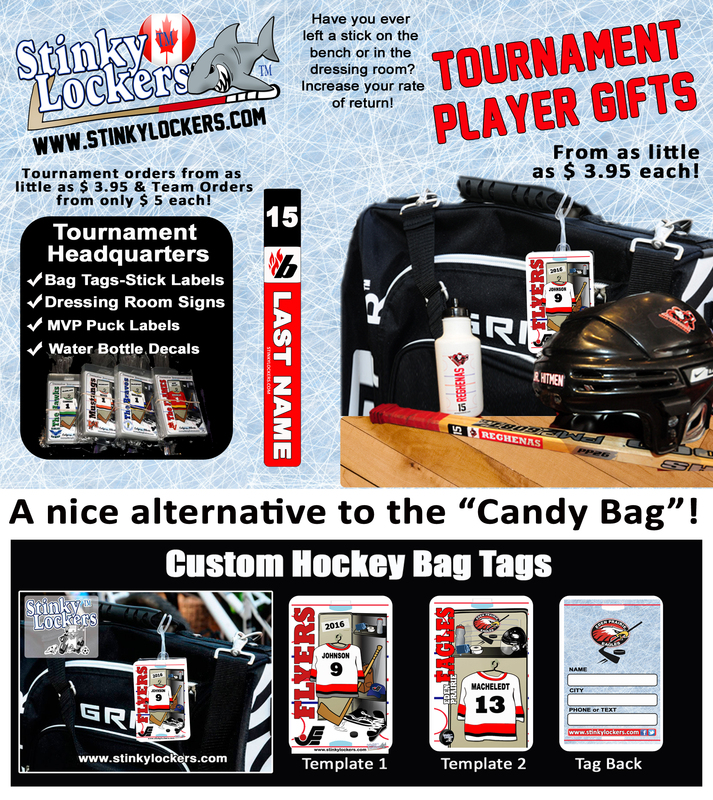 The Stinky Locker is a great way to not only identify your bag, but a great way to promote your camp or tournament for many years to come. Our original design was for hockey and it was too long before we add baseball, soccer, football & more. We now have over 30 customizable sport template designs for Sports of All Sorts!